Andersen Products (ANPRO®) has been a leader in 100% ethylene oxide sterilization (EtO sterilization) for more than fifty years. We offer a complete line of EtO gas sterilizers, from tabletop sterilizers to fully validated industrial sterilizers. Andersen sterilizers are the most gas efficient on the market, using less than 18g of EtO per cycle. We also offer a complete range of product development, contract assembly, packaging and sterilization services at Health Science Park, the main facility in central North Carolina. Andersen Scientific offers small lot contract sterilization and validation services at a new facility in Morrisville, North Carolina. Andersen EOGas EtO sterilizers use a unique gas diffusion system that matches plastic sterilization bags with unit dose EtO cartridges. By eliminating chamber dead space the high efficiency EOGas system sterilizes with as little as 5 grams of EtO gas per cycle. Standard EOGas sterilization bags are available in two sizes; 35 liter or 7 liter. Custom bags are available. 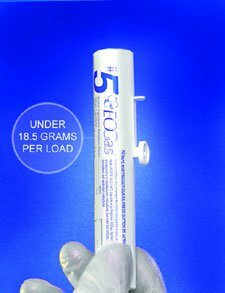 EOGas cartridges range in size from 5 grams to 18grams. 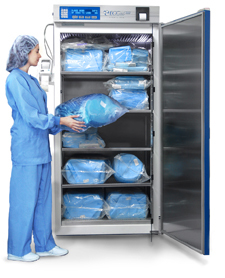 EOGas sterilization cabinets vary in capacity from six to thirty three cubic feet, and are designed to process up to twenty individual sterilization bags at a time. The EOGas system meets new EPA requirements for sterilization and aeration in the same chamber. The Andersen Sterijet® system injects EtO directly into final product packaging. This unique gas injection system allows you to package and sterilize in one step. The Sterijet system is designed for validated industrial use and allows for processing larger volumes of product than our other systems. 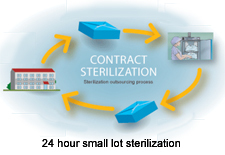 Andersen offers a contract sterilization service that specializes in small lots and fast turnaround. We can process lots as small as a few pieces to 5,000 or more. For priority projects we offer 24-hour turnaround times. Turnkey sterilization validation packages are available. Validated on-site contract packaging and light manufacturing are also offered. ANPRO offers regulatory assistance along with the sterilization equipment for beginning product development to finished goods that are ready for shipping. The Andersen Companies are located at Health Science Park in central North Carolina. 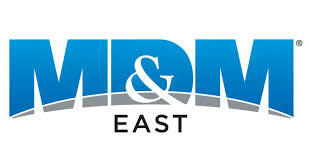 Our facilities are EPA and FDA registered, and OSHA-compliant. We have received ISO 13485 quality systems certification for the manufacture of our sterilizers, and for the manufacture and sterilization of our medical products such as nasogastric tubes and wound drains. H.W. Andersen Products of California, Inc.
For more information contact Andersen Products, Inc.
H. W. Andersen Products, Ltd.